It can be difficult to know where to begin and what to do after a personal injury, and many of our past clients put off the decision to do anything for months or even years. When they finally make the decision to contact an attorney, they talk about how much of a stress relief it was and how it gave them the clarity they needed to make an informed decision. But you can get answers to your most pressing questions by accessing our Maritime Injury Law Library. What’s Included in the Maritime Injury Library? When you fill out the form, you’ll receive instant access to our Maritime Injury Library which will give you the PDF versions of all of the below books & worksheets. 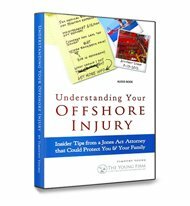 These books and worksheets break down Maritime Injury Law in easy-to-understand concepts. 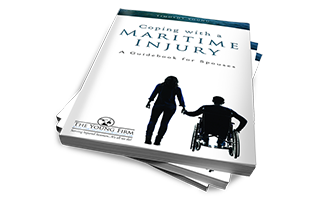 You’ll get helpful tips and insider information on how personal injury cases work. You’ll learn common situations after an injury, how your company might respond, where you can go for financial resources, and more. Get answers today! Yes, I’d like to receive emails about my rights after a maritime injury. Get all the information you need to make smart decisions about your future. This comprehensive maritime injury guide breaks down the laws applicable to injuries that happen in the maritime industry. 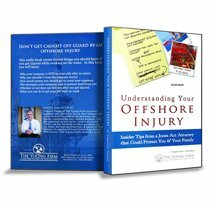 This book contains first-person stories from previous clients who, like you, suffered an offshore injury and came to our firm for help. You may be surprised by how similar your story is to theirs. This guide addresses injuries that DON’T come up in common medical tests. Understand your health & injuries and make sure you are properly diagnosed. 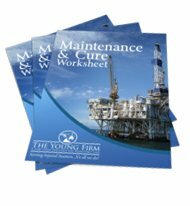 Learn how to get your maintenance increased, how to pick your own doctor and get the company to pay for it, how to document your expenses to get them paid for. 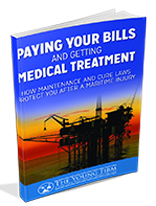 If you are injured offshore, your employer is legally obligated to pay for your medical & living expenses. This worksheet will help you create an expense sheet to provide to your employer so that you can get your full maintenance and cure benefits. 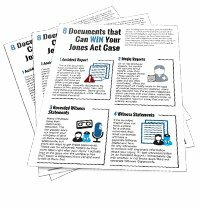 A simple guide about maritime law that covers basic laws that protect maritime workers; gives definitions of common terms; and explains common medical tests. This audiobook contains important training on the Jones Act and maritime law. 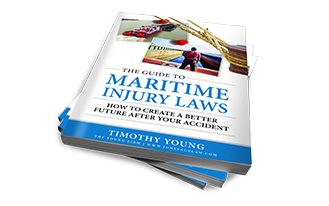 It covers the basics of maritime injury law. Get all of these books in the mail. 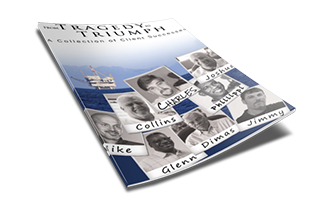 Request our Maritime Injury Toolkit. 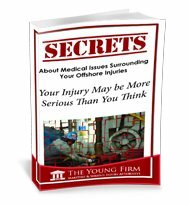 What’s Included in the Maritime Injury Toolkit? 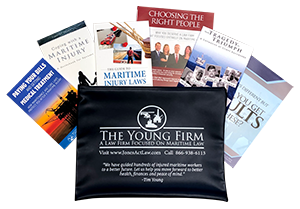 This personal injury toolkit includes several books, pamphlets, and brochures that break down Maritime Injury Law in easy-to-understand concepts. When you fill out the form, you’ll first receive instant access to our Maritime Injury Library which will give you the PDF versions of all of these materials. Within a few days, you’ll receive the hard copy of your materials via FedEx. I certify under the Louisiana State Bar association ethical rules that I am NOT an attorney. Please add me to your emailing list so I can receive more helpful info.